Michael Mansour has bought and sold used cars since he was a teenager, buying and selling $1500 pre-owned vehicles when he entered college. “I was desperate not to have student loans,” said Mansour. His buying and selling paid his room, board and tuition expenses while in college. 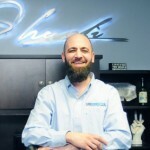 After attending classes at Penn State University for Electrical Engineering and looking at the starting salary’s in his chosen career field, Mike was convinced that rather than put his future earning potential in corporate America where you’re entitled to what your salary and the market dictates, he desired to control his own destiny by living the American dream of business ownership. So with very little money as an investment, Mike purchased a small corner lot in downtown New Castle, Pa., obtained his dealer license and in June 1990, The Car Connection was born. “That was the easy part!” stated Mike, the challenge was holding multiple positions within the dealership from purchasing decent vehicles, servicing them, inspecting them, detailing them and getting them retailed to the public. “For the first several years, I was a one-man operation, hanging the sign on the door, going to the auction to purchase inventory, coming back and going thru all the steps to prepare a quality product for a potential customer!” Mansour continued; “I made a good living purchasing and turning those $1,500 to $2,000 cars and making customers feel they just bought the best vehicle in the world! 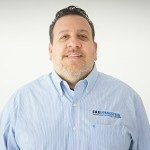 The joy and happiness that drove me was not only making a good living for myself and building a successful business but seeing a customer satisfied with a vehicle that I did all the work to ensure they got a good product.” With a work ethic like that, it was easy to see the future that Mike envisioned and that would later become the Car Connection Superstore. Today, his Car Connection Superstore has 2.5 acres, an 11000 square foot building and approximately 250 units on the lot. Continuing to grow, the dealership has just gone through a major remodel including bringing the store up to all new and improved state of the art technology. 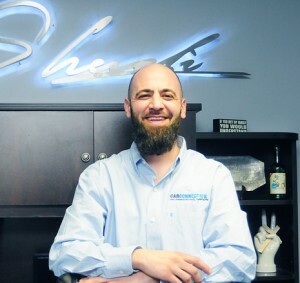 Mansour currently has 14 employees and continues to buy, sell, service and finance previously-owned vehicles from cars, trucks and SUVs to boats, motorcycles and quads. The recently expanded service and detail department required the addition of two certified technicians as well as a dedicated service manager. “you have to rise to meet the customer’s needs. With vehicles being so technically built with computers, we had to raise our sights to ensure continued customer satisfaction,” stated Mansour. A man of his times, Mansour has also made use of online marketing. It allows his customers to take a virtual test drive on their computer, viewing multiple photos of available vehicles from all angles both inside and out as well as detailed information about the vehicle. Keeping ahead of the changing times requires forward thinking with an engineering type approach, with that thought in mind Mansour raised the bar by taking the buying process a step further. “I had the vision to be able to provide our customers with a complete 360-degree virtual reality walk around to help create complete transparency in the buying process, stated Mansour. Edging the competition, Mike built a state of the art photo lab, complete with a powered, in-ground 360-degree rotating turntable, advanced lighting technology and state of the art photography systems to provide consumers with the best possible look at their prospective purchase. “At one time almost 80 percent of consumers would call the dealership to ask about a car before coming in to look at it, in today’s society perhaps 11 percent will call. With the power of the internet consumers are armed and equipped with everything they need to know about their next purchase from the dealers history as well as everything about a car they’re interested in before even leaving their house, my goal is to give them that virtual test drive from their living room so when they come in, we just simply provide a service to take care of all their needs moving forward,” stated Mansour. Michael Mansour has been an active member of the board of directors with the PIADA since 2006 and has served as one of the associations Vice Presidents since 2012. Patricia came to us full time after working with us on and off for over 20 years doing advertising with us and many dealers in the market. She was our Automart girl for 9 years, too! She produced, directed and did the voice-over for our TV commercials for years! Patricia has a background in TV reporting and anchoring and has worked as a sports reporter in the Pittsburgh/Ohio market as well. Patricia is also a former Mrs. Pennsylvania and was a top finalist at Mrs. Virginia too. While residing in South Florida Patricia used to launch 5-star restaurants on the intracostal waterway. She was responsible for the Coho Grille and Michael’s Palm Cafe in Boca Raton. Patricia moved back to her hometown of New Castle, Pa about 21 years ago to raise her 2 daughters in the town she grew up in. 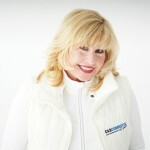 Patricia has over 30 years of marketing/advertising/sales experience. If you want a detail oriented sales person, she is the one! Call Patricia today at 724-658-1212. Hello, my name is Jason DeLillo, I am a lifelong resident of New Castle, PA. 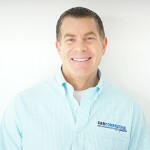 I have been selling cars for 19 years, 16 of which have been at the Car Connection Superstore! Most people who know me know that I am an honest, fair, and loyal person. I have been married to my wife Lori for 13 years and have 5 wonderful children, as you can see my family is very important to me. We have a reputation at the Car Connection to treat people like family and it shows because we have been going strong for 20+ years. I sincerely hope that you will give me the opportunity to fulfill your automotive needs! Thank you! Hi, my name is Shadi Mansour. I am a lifelong resident of the New Castle area and a graduate of Neshannock High School. Upon graduation, I left the area for five years to attend school at the Pittsburgh Technical Institute. While in Pittsburgh, I had an opportunity to work at a help desk for a major supply company for 4 years, managing accounts and providing technical assistance to customers. This experience taught me that regardless if you’re in a service or retail environment, customer service and communication are the most important aspects of any business. Wanting to take my customer service skills to the next level, I made the switch to the auto industry. 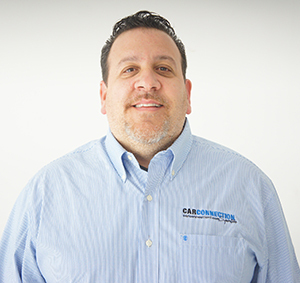 For the last 8 years, I’ve had the pleasure of working in all aspects of a dealership, from reconditioning and service, to new car sales to my current position as a Sales and Leasing professional and Internet Manager. 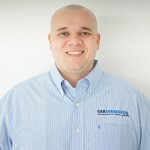 For the last 7 years, I’ve had the pleasure of working at the Car Connection. What I’ve discovered after working for a franchise dealer for 2 years is that it’s great to be at a locally-owned family-operated dealership where our customers get treated just like a member of the family. We all come to work to make a living, but the most important part of my job isn’t the sale, it’s the people. It’s all about the people! Please give me a call and let me show you what it means to be taken care of. 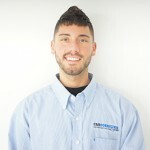 Hi, my name is David Trocci. I am a 2010 graduate of Union High School where I served as Student Council Treasurer. I knew that I wanted to get into the business field after working with my father, Dennis Trocci, who has been in the automotive industry for over 30 years. Being able to work with my father at his dealership growing up gave me the foundation that I was striving to find in an industry that I can truly make a difference in and build upon. 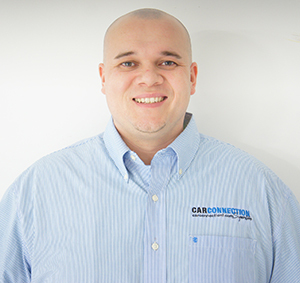 I am the Internet Manager here at Car Connection. All of the quality photos that you see on our website as well as the various other websites such as Auto Trader.com are the result of me! In addition, I attend the factory sales on a weekly basis with our owner, Michael and assist with the purchasing of automobiles for the dealership. I spent one semester at Butler Community College but decided to put my college endeavors on hold when the opportunity to work here at the Car Connection arose. The family atmosphere and the quality selection of automobiles is a prime example as to why the Car Connection has been here for over 23 years. I am also licensed as a salesperson here at the store. If there is anything that I can do to serve you, please let me know. If you’re not…give me a call and allow me to show you why so many people are buying their second and third cars from me. I will ensure your deal is the BEST. Finally, I pride myself on the fact that I am Mike’s GODSON and it is truly why I have been here as long as I have!! LOL…Thank You so much and I look forward to serving you!